Gold For Lion’s Gate 8-8 Thru 8-12-16 – GemPowerment. Reveal your light. 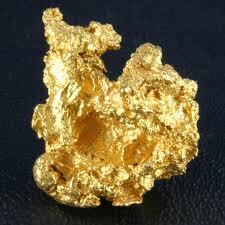 Gold is a gleaming reminder of our Divinity and the Love Light of Pure Source. Greetings and welcome to the Lion’s Gate 8:8 my Beloved, Sparkly, GemPeople! When I did my check-in with Guidance about the best Mineral Kingdom ally for the Lion’s Gate energies, I was not surprised when the answer came back as Gold. Gold is often associated with the Sun – not just our local solar body, but by many ancient cultures and New Age culture with the Great Central Sun of our galaxy. It is a rather rare element in the cosmos; and we are lucky to have a fair abundance here on our little Blue planet. Gold’s inherent property of high electrical conductivity and low reactivity are a rare combination and perfect for providing a high-energy but stable vibrational field. This beautiful metal is a constant, gleaming reminder of our Divinity and the Love Light of Pure Source! Gold is well-known as an element which can carry the energy of the Sun and archetypal Masculine on this planet, as well as being an augmenter of positive vibrations and all things aligned with Source. It is the quintessential metal to represent manifestation from Spirit into 3D, and often symbolizes our reward at the end of an arduous journey or quest where there have been lessons learned and growth of the Soul. Since we are at this annual star portal in a Universal 9 year, this is even more meaningful. You are advised to wear as much Gold as you can for the next few days until the closing of the Lion’s Gate around 8/12. In addition, if you resonate with this, consider making Gold-charged water to drink every day. Just make sure the Gold is clean and any non-Gold parts such as clasps or hooks, etc. are not immersed in the water. If you have any doubts, use the indirect method.